LeoSat Enterprises has entered into an agreement to upgrade Skyband's existing satellite solutions, giving customers access to a unique, low-latency network which, according to the company, is expected to revolutionize data connectivity. 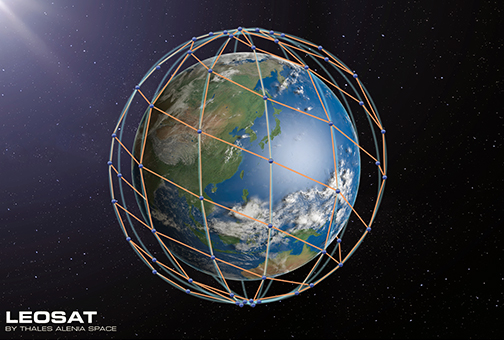 LeoSat’s system of LEOs satellites can achieve lower latency and stronger end-to-end security compared to traditional satellite and terrestrial solutions that are in use today, achieved through a system architecture using optical inter-satellite laser links which connect the satellites. Fiber-like symmetry is achieved at gigabits speeds, while providing total security, as the data is encrypted and secured from end-to-end across the network with no terrestrial touch points. Big Data is clearly driving the need for new communications infrastructure and data volumes are exploding, with global networks already carrying more than 1 Zeta Byte of traffic and this is forecast to grow exponentially. This increasing demand to move large quantities of data quickly and securely around the world is fast outpacing the infrastructure needed to carry it. LeoSat’s unique new network has been designed to solve these essential communications and connectivity issues and provide new opportunities for business sectors such as multi-national enterprise, telecommunications, oil & gas, maritime and government services. For Enterprise customers, the key attributes of the LeoSat system can be used for a number of applications, such as to give banks secured networks with their foreign offices, providing enormous uploading bandwidth for oil & gas exploration, enabling seamless connectivity for shipping and fleet management or providing the only native 4G and 5G satellite backhaul connectivity for cellular operators. LeoSat can offer competitive advantage in existing satellite services markets in the MENA region and beyond and the firm will help to expand these markets by enabling new opportunities through previously unavailable levels of performance combined with worldwide reach. LeoSat is backed by leading satellite operators SKY Perfect JSAT and Hispasat and the system is being developed in conjunction with Thales Alenia Space. The High-Throughput Satellites (HTS) in the constellation will form a mesh network interconnected through laser links, creating an optical backbone in space that is about 1.5 times faster than terrestrial fiber backbones, thus creating a paradigm shift in the use of satellites for data connectivity—– rather than a gap filler or last resort where no terrestrial alternative is available. LeoSat has already secured more than $1.5 billion in pre-launch customer agreements and was recently granted a license by the FCC to operate its network in the U.S.
LeoSat’s Chief Commercial Officer, Ronald van der Breggen, said global enterprises today require instant infrastructure from anywhere to everywhere which is fast, secure and reliable. LeoSat is taking data networking into space, setting a new bar for high speed data connectivity. With capabilities beyond satellite and fiber, including transmission speeds of 10+ gigabits per second and latency of 20 milliseconds, the company’s infrastructure is what data communications has been waiting for — a game-changing service that realizes the synergies of both worlds to re-define connectivity in terms of capacity, latency, security, efficiency and coverage. 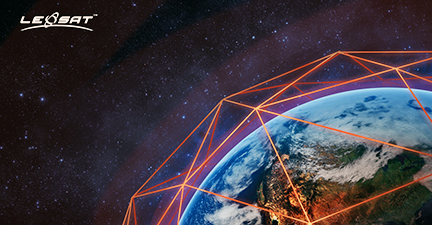 For companies such as SKYBAND looking to provide innovative connectivity solutions, LeoSat can help to open-up new markets and deliver business growth. Osman Oueida, CEO of SKYBAND, added that the company relies on the latest satellite and VSAT communication technologies for data, voice and video transmission. The firm's network provides high-speed, reliable, robust, cost-effective, scalable, and secured communication across the Kingdom which can be used by all Industry segments. To find out more, attend the GVF Satellite Hub Summit @ CABSAT 2019, Tuesday, March 12 at 1430 hours for the session entitled: Global Satellite Business is Big Business: New Space is Making it Bigger: HTS Evolving: The LEO & MEO Factor”.